The amount of venture capital investments garnered by Asian companies in the first quarter of this year dropped 12 per cent to $18.4 billion from the $21.1 billion they raked in during the previous quarter, according to latest data from CB Insights and PwC. 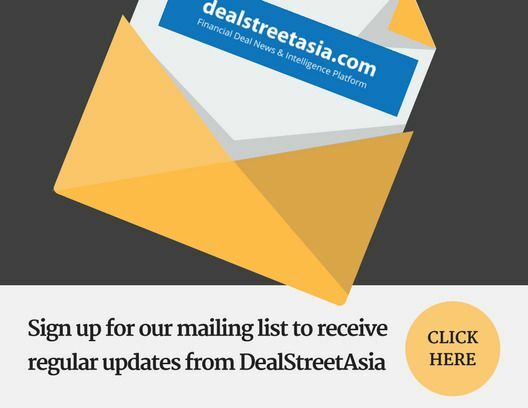 Deal volume also fell slightly to 1,128 transactions in the January-March quarter from 1,212 in Q4 2018 while corporate participation in VC deals saw a surge in the first quarter. Corporations or their venture arms participated in 40 per cent of Asia VC deals from just 38 per cent previously. The lacklustre funding and deal activity in the first three months of the year were not confined in Asia alone. According to the report, global funding dropped by 22 per cent to $52 billion while deal activity fell by 5 per cent to 3,327 transactions. In North America, VC-backed companies raised $26 billion in Q1, down 36 per cent from the previous quarter, while deal activity declined slightly to 1,375. Europe-based startups, however, bucked the trend as they raised $8 billion in VC funding in Q1, a 48 per cent increase from Q4 of last year, even as deal activity dropped 4 per cent to 724 transactions. The largest global deal in the first quarter of the year was the $1.5-billion investment that SoftBank Group, through the SoftBank Vision Fund, poured into Chinese e-commerce firm Chehaoduo. Founded in 2014, Chehaoduo claims it has grown into China’s leading car trading platform with about 600 offline stores. It was spun out of Chinese classified online marketplace Ganji.com. Vision Fund also invested $1.46 billion in Grab, making it the second largest global VC deal in the first three months of this year. 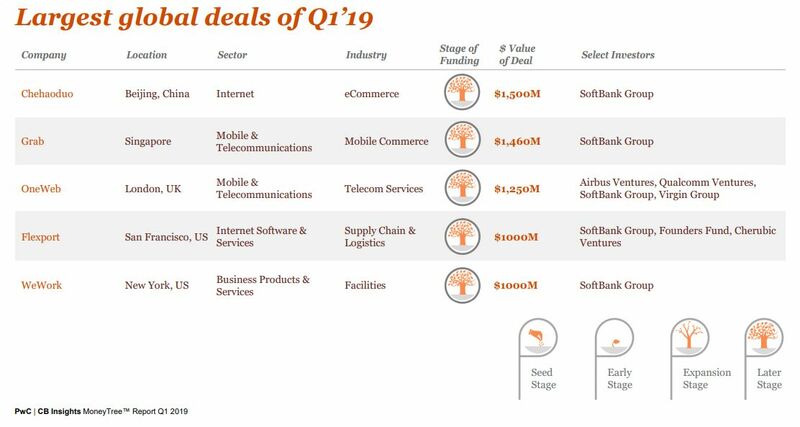 British telecom services firm OneWeb raised $1.25 billion from Airbus Ventures, Qualcomm Ventures, SoftBank Group, and Virgin Group to become the third-largest global VC deal. US-based Flexport and WeWork also bagged $1 billion funding each during the said quarter. The five most active VC firms globally in Q1 were New Enterprise Associates, Google Ventures, Norwest Venture Partners, Accel, and IDG Capital. The report also noted that mega rounds, or those valued at more than $100 million, dropped in North America and Asia in Q1 from record levels in Q3 2018 and near-record levels in Q4 2018. Asia’s mega rounds dropped to 38 in the first quarter from 48. Europe, however, saw a rise in mega rounds. The first quarter also saw North America minting 10 new unicorns, beating Asia for the third-straight quarter. Asia minted five unicorns while Europe produced three during the period. In terms of global expansion-stage median deal size, Asia posted an increase to $15.6 million in Q1 from $14.5 million in the previous quarter, while North America and Europe saw a decline. The report covers funding of private companies only and includes the investment made in the quarter for tranched investments. It also reflected the amount closed in a certain round and not the desired funding amount.